Usually I like to try to go in order with the Good Eats episodes, but I’ve decided to lock my Type A personality in the closet for a couple weeks and skip ahead. It is however for good reason. One episode is for Thanksgiving leftovers. I’ll be waiting until Turkey Day to cook those up. The other was Chocolate Chip Cookies. I’ve made 2 of the 3 batches, but 90 cookies all at once in my house just isn’t a good idea. My husband and I would eat them all! So I’m spacing that out a bit. Next up was pancakes. Perfect Sunday morning breakfast. I cooked up batch over the weekend. I love the idea of making the mix and keeping it on hand when you need it. It’s a simple recipe and you probably already have the ingredients in your pantry. Keeping it in an air tight container, it will stay fresh for 3 months. I’m not a huge pancake person. I prefer a savory breakfast but I still give this recipe 2 thumbs up. Get out an airtight container. 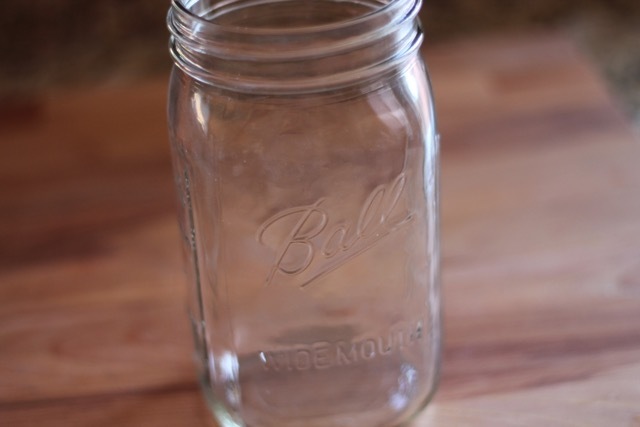 I halved the recipe, so this mason jar was the perfect size. Shake to mix all ingredients. Your Instant Pancake Mix is done! Now let’s make some pancakes! Whisk egg whites and buttermilk in one bowl. And egg yolks and butter in another. Then combine the two. 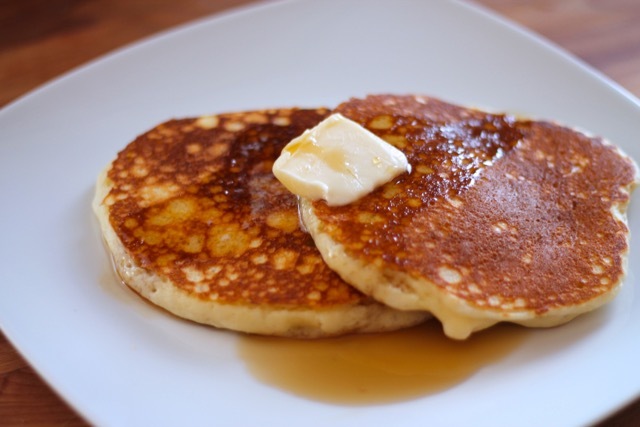 The separate mixing is necessary for the right consistency of pancakes. 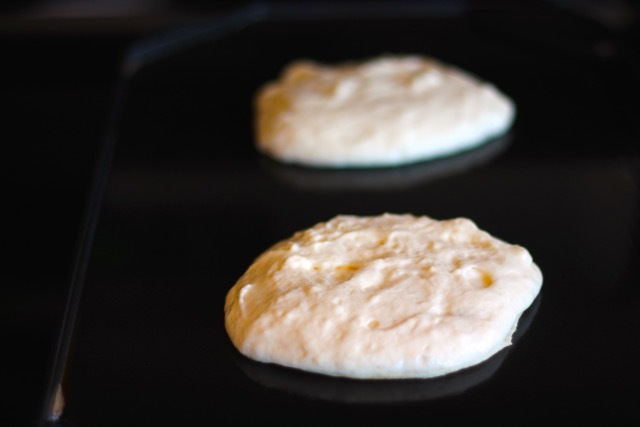 Lightly coat a griddle with butter, then wipe clean. You want just enough fat on there so you don’t even see it. Cook until bubbles set and don’t break. Time is irrelevant, you just have to watch and wait. Flip over and cook until center is cooked through. You can tell by gently pressing on it. Now get out your softened butter and real maple syrup. Devour your perfect pancakes! Here’s what’s going on over at MyGoodEats.com! I’ve made these, and they are life changing! The most amazing pancakes we’ve ever tried! 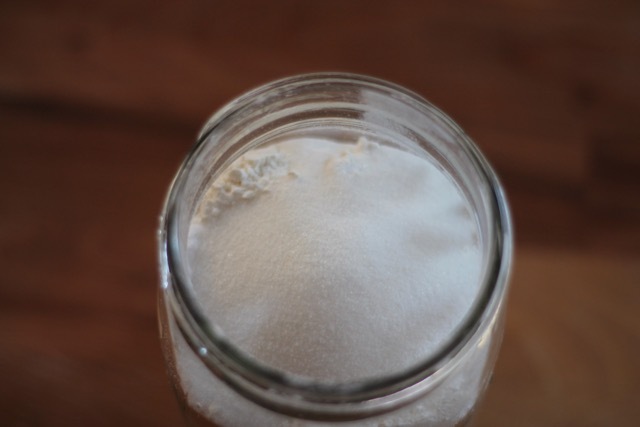 Mmmm, I love this idea of making your own instant pancake mix! I’m going to try this. Also, my absolute favorite waffles use buttermilk, so I really need to try pancakes made with buttermilk as well. Yummy! It’s so nice to have on hand at anytime. Buttermilk waffles and pancakes are my favorite!